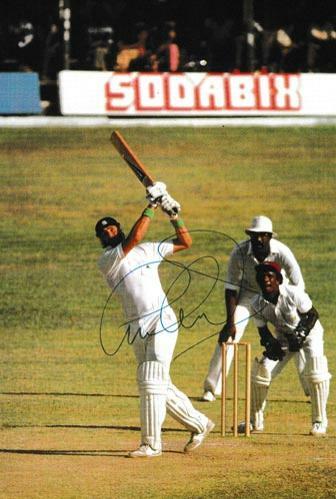 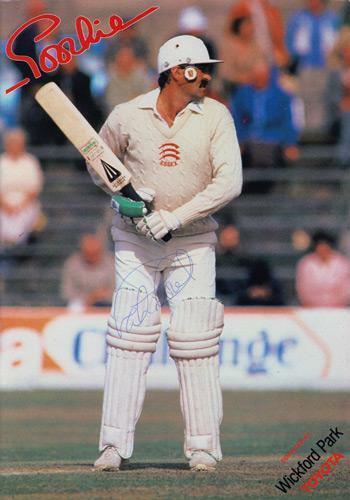 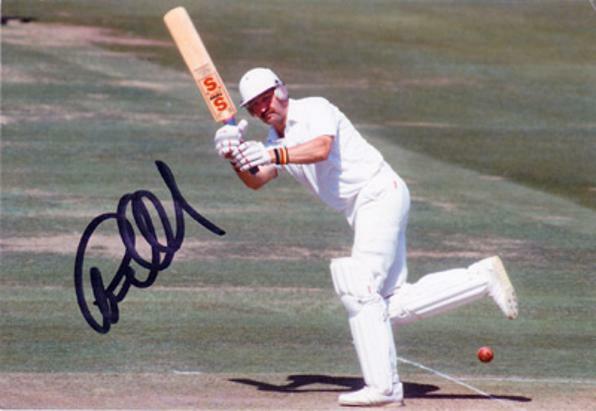 Signed England test match pic batting against the West Indies. 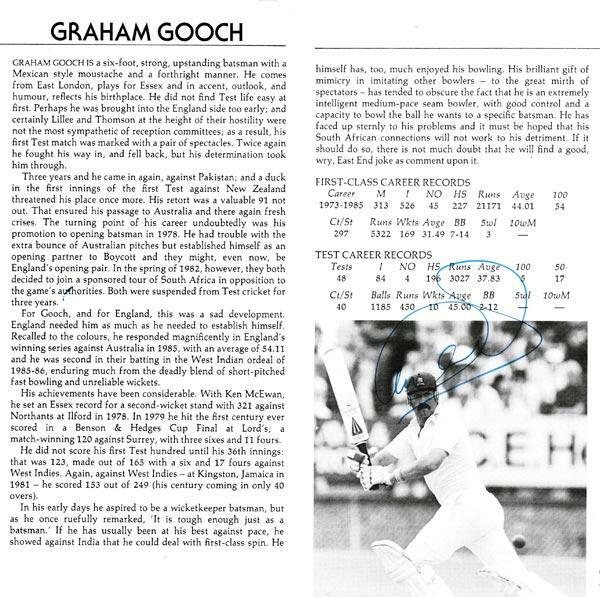 Signed double page book bio with B&W pic. 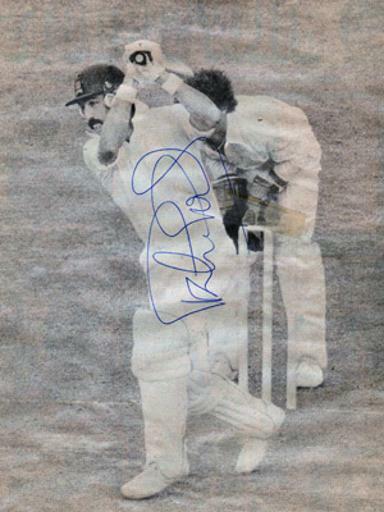 Signed colour magazine Jumbo batting pic. 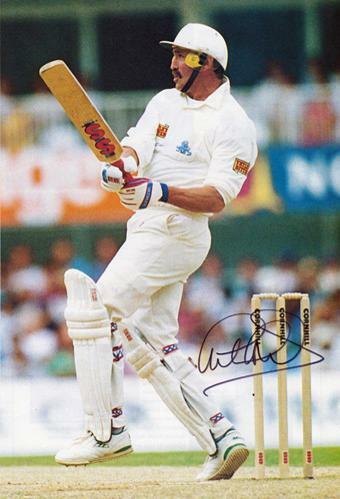 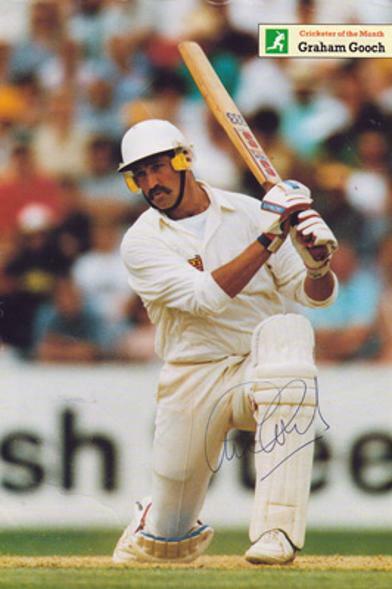 Signed Oct 1993 Cricketer of the Month colour magazine pic. 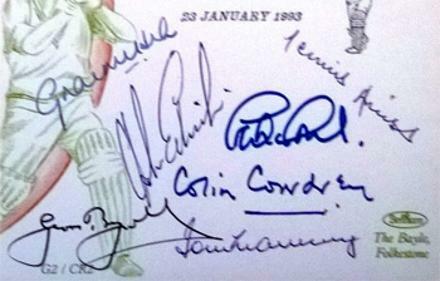 Signed B&W book page print. 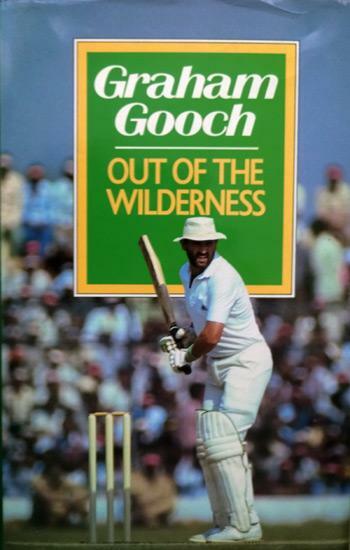 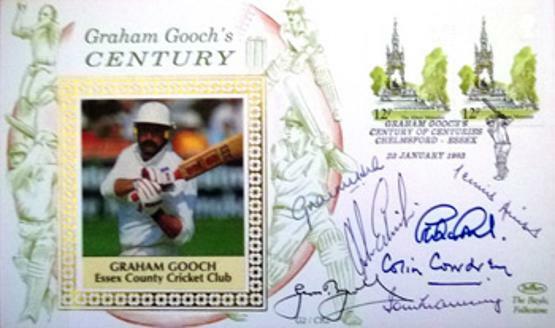 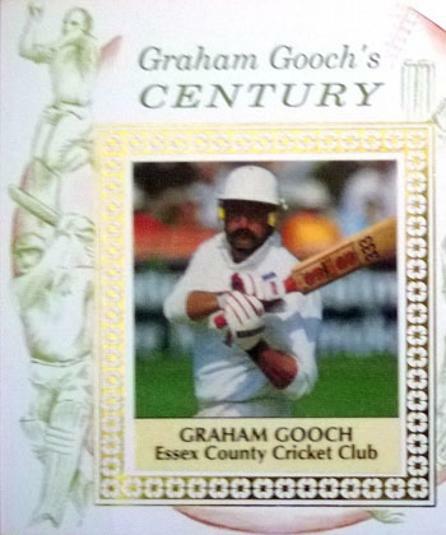 Multi-signed First Day Cover to celebrate former England & Essex CCC opening bat and captain GRAHAM GOOCH's 100th Century in First Class Cricket. 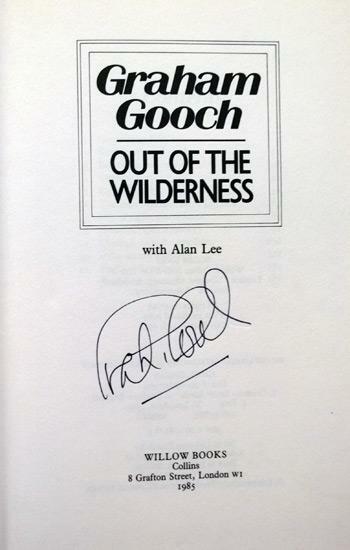 Signed book "Out of the Wilderness"